At Mordue Moving & Storage, we realize that every family is different and every home is different. That makes every move a unique challenge. Whether you are moving within the state, across the country or around the world, Mordue is the Peoria mover that provides services and procedures designed to make your move a positive experience. We also offer complete packing, shipping, storage and moving supplies. Every move starts with an accurate, no-obligation survey of your home and a detailed accounting of its contents. An approximate cost is then calculated based on the estimated weight of your belongings and the distance they will be moved. As the estimate is being prepared, a Mordue representative explains the details of how the move will take place – along with your packing, delivery and storage options – and the responsibilities of both parties. We make sure you understand the process fully, so there are no surprises along the way. Walls, carpets, doorways and other areas of the home are carefully protected before any packing or moving takes place. For example, wooden banisters are padded before any boxes or furniture are moved down the stairway. For moves over 35 miles, we develop a written inventory of all items to be moved. And then we double-check that inventory to make sure all of your belongings have arrived in good condition at your destination. If you choose to pack all or part of your household items, Mordue is your Peoria mover, providing all of the boxes, cartons and protective materials you need, along with instructions on proper packing methods. When we handle the packing, our trained, professional staff members use the best containers and packing materials to prevent damage. Furniture and boxes are carefully loaded into the truck and secured to prevent moving and shifting during transportation. Our driver will then walk through the home with you to make sure that nothing has been overlooked. Clean, well-maintained Air Ride trailers and dependable, late-model trucks guarantee a smooth ride and timely arrival at your new home. All items are unloaded from the truck, checked against your pre-move inventory and placed where requested in your new home. Protective materials are then removed from the furniture. At your request, boxes can also be unpacked, and all empty boxes and shipping materials can be removed. 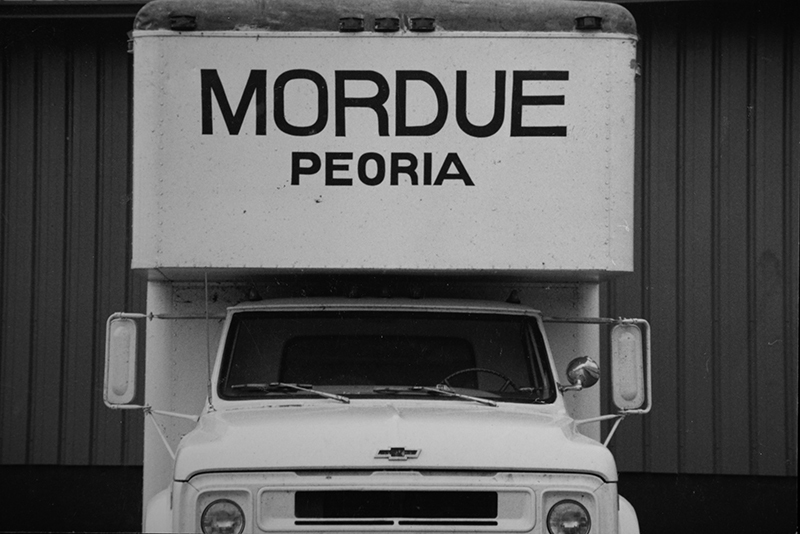 Mordue Moving & Storage: Your award-winning Peoria movers. Click here for our local moving page.